After my first trip to Mexico, I began a quest to find a recipe for guacamole that tasted like the REAL thing! To me, guacamole is the purest form of Mexican comfort food. There is nothing better than a big bowl of fresh guac, warm salted tortilla chips and a frosty margarita on a hot summer’s day (or any day for that matter) Here is THE recipe and it is so simple! The key is fresh ingredients – no bottled lime juice here! Just chopping these ingredients will fill your kitchen with the fragrance of a fine Mexican restaurant. Make a bowl of this just before your guests arrive and they will walk into your home salivating! This recipe makes a really large quantity, but every time I have made it, the bowl has quickly disappeared and my guests look at me expectantly as if I have more hiding somewhere in a corner of my fridge. I hope you like it! Add all ingredients to a bowl and adjust the quantity of salt. If it needs tweaking, play with the amount of lime juice and salt. This is the key to the recipe. Serve with tortilla chips and lime margaritas and enjoy! I’ve made this Guacamole and it is absolutely FANTASTIC!!!! Keep these recipes coming because I love your blog!!!!!! 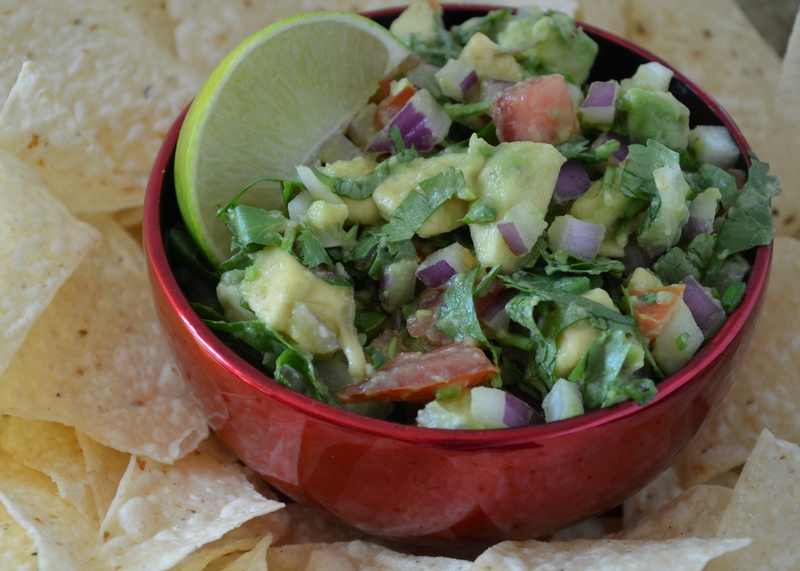 Thank you for sharing this easy to make recipe on mexican guacamole. I would love to try this one. Have a wonderful day! You’re welcome, Liz. That’s the beauty of this recipe. So easy and yet so tasty! You have a great day too! Me ha gustado mucho el blog y en especial me he detenido con este post que es lo que ven�a buscando. Gracias por hacer la red tan grande como la hac�is entre todos los bloggers. Me voy a cocinar!! muchos besos!! !